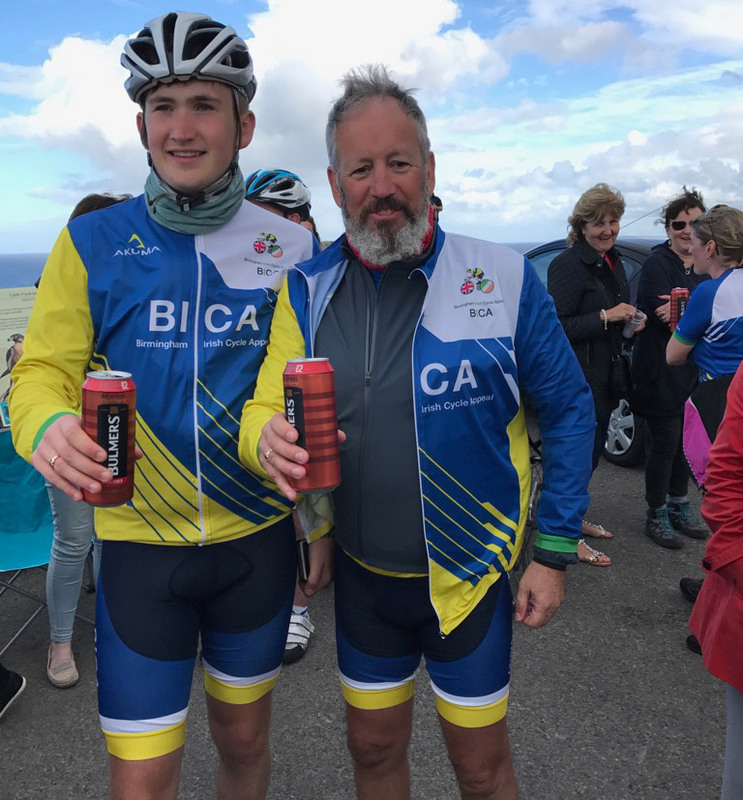 At the beginning of August Gerard Culbertson, depot principal at Linkline Express Services (D29) and his son Liam embarked upon a week-long cycle challenge alongside the Birmingham Irish Cycle Appeal (BICA) in aid of a number of worthy causes. The duo endured a 533mile cycle ride, spanning over six and a half days across the Wild Atlantic Way. The ride began at the most Southern point of Ireland, Mizen Head, ending at the most Northern point, Malin Head. Together with BICA, Gerard and Liam took on the challenge to raise money for several charities across the UK; with Cystic Fibrosis, PSPA Parkinsons, SPOCC, young carers, the Allen’s Croft Project, Dementia Care and Sudden Arrhythmic Death Syndrome (SAD) all set to benefit from the funds raised. BICA has been organising demanding cycling challenges in honour of charities for over two decades, and is set to raise over £70K this year alone. The pair completed the ride without getting off their bikes whilst on-route, even when faced with the steepest of hills in Ireland, Mamore Gap. So far, Gerard and Liam have raised over £3000; but they’re still looking to raise more money to hit a target of £3500. You can donate via Gerard’s fundraising page and help to support charities across the country.